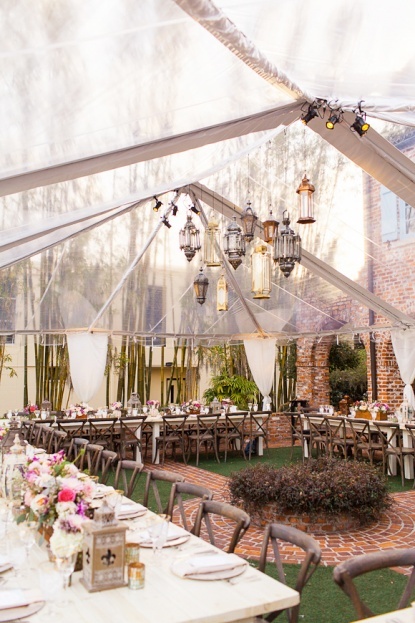 Casa Feliz: Stephanie and Mark's Moroccan Themed Wedding Reception - A Chair Affair, Inc.
Stephanie and Mark flew all the way from California to celebrate their wedding day with family and friends in Orlando. 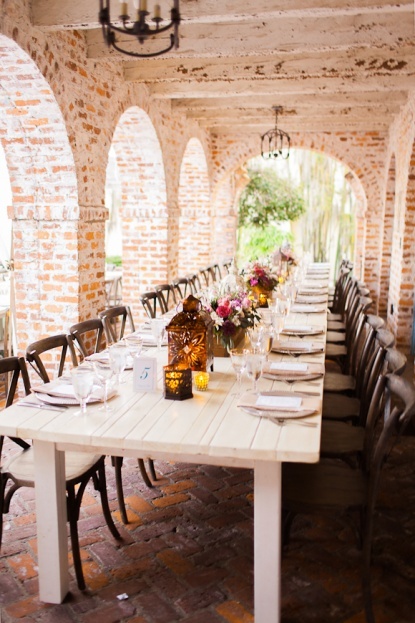 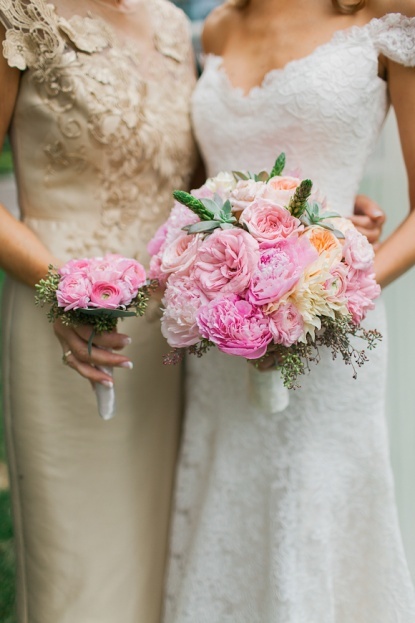 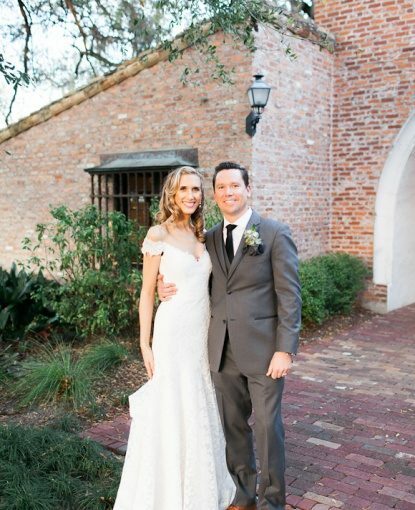 For their venue, they selected Casa Feliz, a stunningly restored Spanish farmhouse in Winter Park. 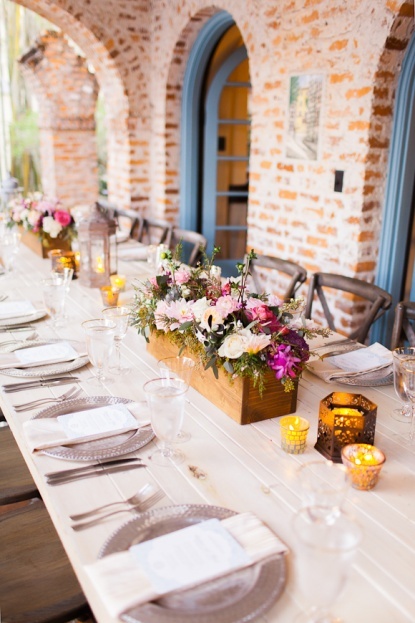 This beautiful Moroccan themed wedding reception was designed and coordinated by the talented Blush by Brandee Gaar team, and filled with incredible florals created Lee James Floral Designs. 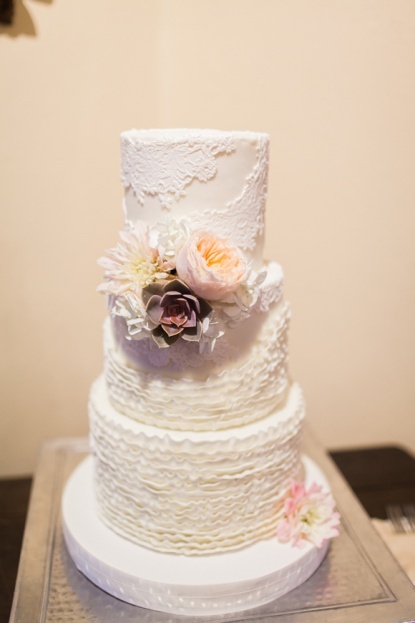 Party Flavors Custom Cakes crafted a stunning three tiered cake with layers of ruffle and lace detail. 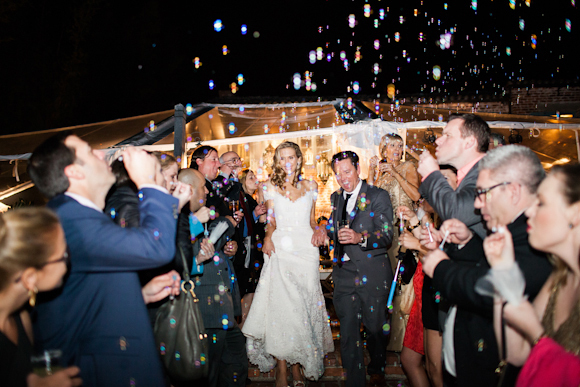 Andi Mans Weddings was there to capture every breathtaking moment of the day. 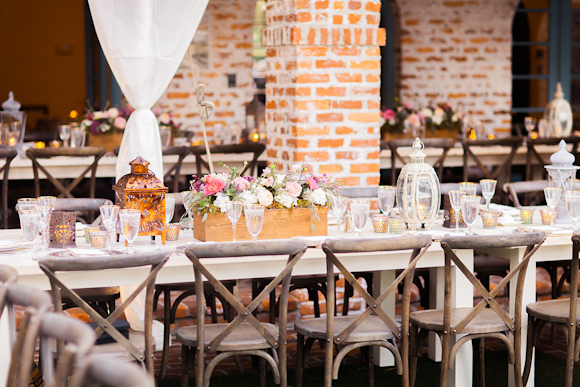 Our whitewashed farm tables and French country chairs were the perfect companions in this beautifully designed celebration. 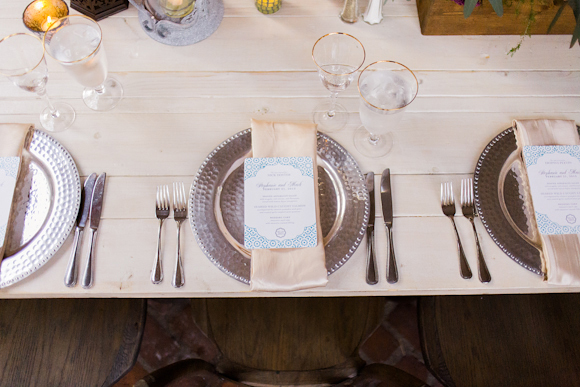 Hammered metal chargers, silver flatware, and gold-rimmed stemware completed the flawless tablescapes adorned with candlelit lanterns and lush florals.